Ukraine was a part of Russia for a long time. The extreme east of Ukraine, especially the Donbass, is mostly Russian. Part of the reason for this is that this region was de-populated of all ethnic Ukrainians because most died in the famine, which hit hardest here. East of the Dnieper, to varying degrees, has a strong Russian influence. Overall, Ukrainians are much closer mentally to Poles, they usually prefer nice simple living instead of having ambitious goals. Ukrainians have strong Polish, Lithuanian and Austro-Hungarian historical influences that Russia just does not. Ukrainians had a tradition of owning their own land and small farms for millenia. Ukraine was a farming and agricultural-based society for millenia in a way Russia never was. A common Russian term for a Ukranian is "Khokhol." It is a derogatory term and essentially means "hick." Like guajiro for a Cuban not from Havana. Irish (particularly those from Dublin) refer to country folk among their own as culchie. The English call them paddys or micks. 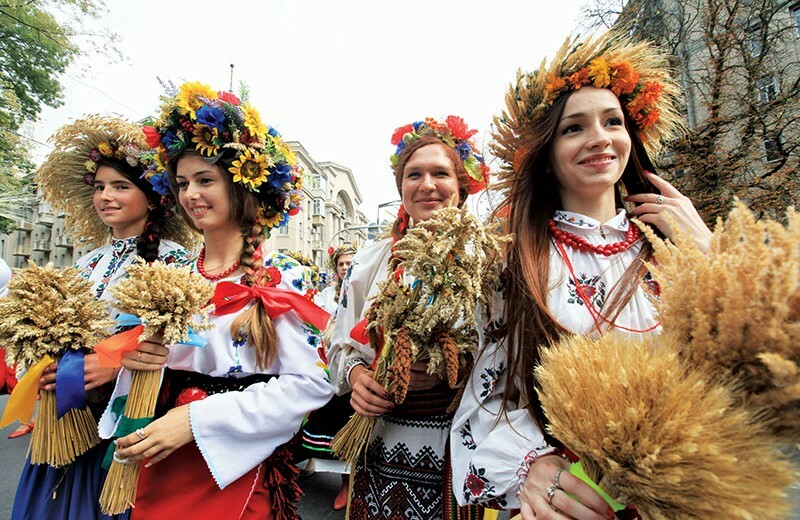 And that is one difference: the Russians have such a derogatory term for all Ukrainians that essentially calls them all country bumpkins while an equivalent derogatory term for Russians amongst Ukrinians is "katsap", the truth is that if you say "Khokhol" all Ukrianinas and all Russians instantly know what you mean. Many would not know Katsap. Khokhol is an ubiquitous slang temr (and literally refers to the traditional Ukrainian Cossack haircut). Ukraine's natural scenery is not extremely beautiful- it's mainly one flat prairie with patches of woodland and hedgerows everywhere. Everywhere you see poplars and chestnuts. Then you have mountains in the west. Ukraine is a huge place....Ethnically, some people look Scandinavian, some Turkish and some typically Slavic. Local guys like to meet girls thru work, school, social clubs or at resorts/parties. Sometimes, you can go to discos and meet gals there. Intros aren't made by babushkas anymore, but thru friends- if you want quality girls, that is. Many of the more attractive girls are either married or have boyfriends. They are sought after locally. Most are happy in their home towns and with their families and are perfectly willing to put up with their conditions, even if poor.